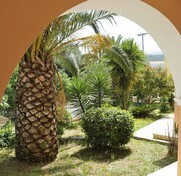 Located on the northern side of Corfu Island. 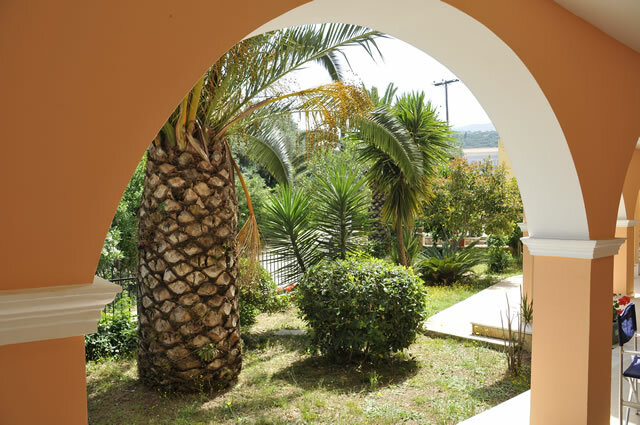 Situated in their own attractive gardens near the main road of the resort centre, the Lea apartments are the perfect place for your relaxing holidays. Painted in eye-catching peach they are very clean and in excellent condition. Sunbathers are surrounded by the peaceful sound of birds singing and the scent of the countryside. 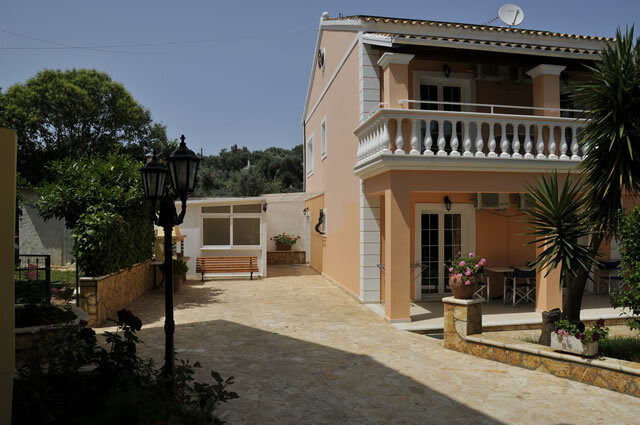 The complex comprises of 4 four-bed and 2 six-bed spacious apartments. 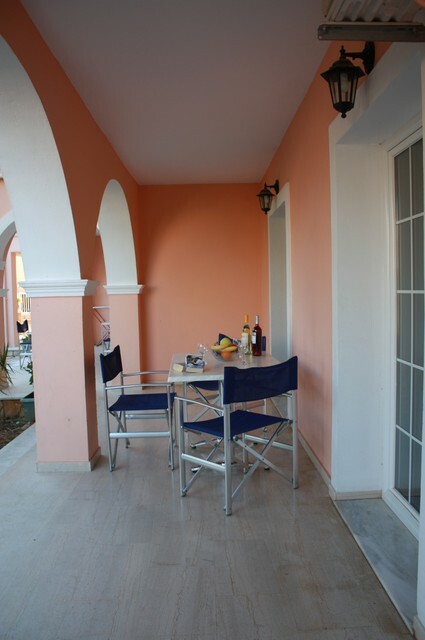 All apartments have a well equipped kitchen (with two electric rings, oven, kettle, toaster, fridge), shower or bath, wc and balcony or terrace. Satelite TV with three English channels are available. Air-condition, hair-dryer and a safety box are available in each bedroom. Apartments for six have a sofa bed in the lounge, in case a family consists of 5 or 6 members. Maid service is three times a week. Towels and linen are changed twice a week. Also, there is a barbecue place in the country yard for your special nights! When the heat of the mid-afternoon sun dies down it's only a five minute walk into the centre of Kassiopi, where there are bars, restaurants, souvenir shop and a disco. 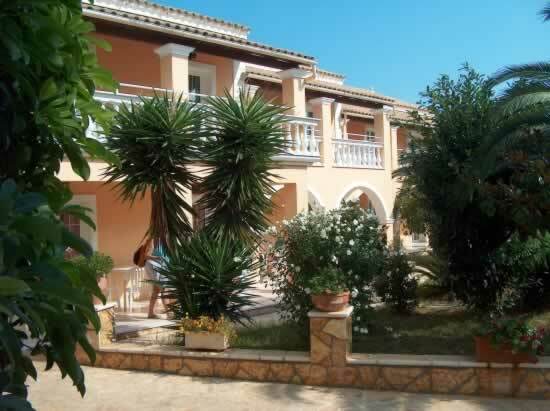 Location: 800m to Kogevinas beach, 1km to the nearest shops, bars, restaurants and disco in the resort centre of Kassiopi. 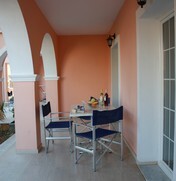 There is a supermarket next door on your right side 20m and on your left side a traditional taverna takes place. 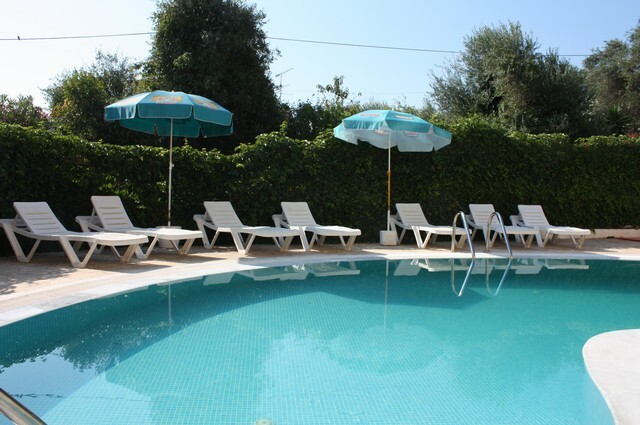 The bus station for Corfu Town and Sidari Village is on the main road 30m from the resort. 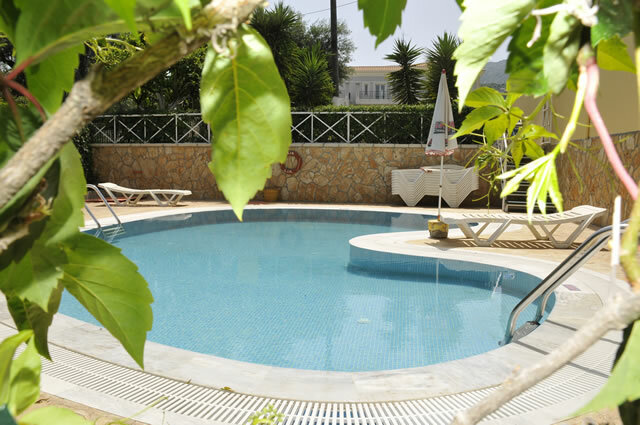 Lea apartments are there to welcome you and offer you all the amenities that will make your vacation unforgettable.